Most wills name a specific person as the executor. In California, the named executor must be at least 18 years old and must not be subject to conservatorship, meaning another person cannot have been appointed by a court to make financial decisions for you, or otherwise unable to serve. If you are named the executor, you still must ask the court to appoint you as executor and issue your “letters.” Letters, or official documents from the court, give you the authority to act as executor of the estate. 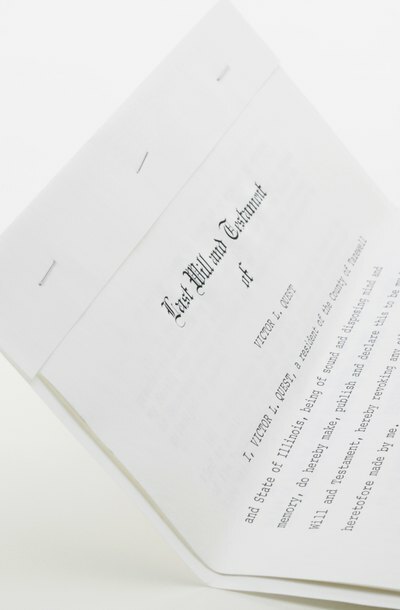 If there is no will, you may ask the court to be appointed executor of the decedent’s estate. In such cases, the court may appoint you as executor if you are a resident of the United States and have priority, meaning you are related to the decedent more closely than other parties asking to be named executor. Generally speaking, surviving spouses have priority over children, who have priority over grandchildren, who have priority over great-grandchildren and so on. The California probate code provides an extensive list that details who has priority over whom. If the will does not name an executor, the court follows the same procedures to appoint an executor as it does when there is no will at all. The court also follows these procedures if the person nominated to serve as executor is deceased, incapacitated or chooses not to serve. An executor is an officer of the court whose duties include making prudent investments with the estate’s assets, keeping its assets separate, and taking and filing an inventory of the estate. An executor must also keep meticulous records. Before the court issues your letters, it requires you to acknowledge your duties as the named executor on a special form to be submitted to the court. You also must take an oath promising to uphold those duties. An executor's duties range in complexity, depending on the size of the estate and the potential beneficiaries. As such, you may be entitled to a fee for your services; the amount is often determined by the estate's value. Although you may be paid for your time, carefully consider whether you have the desire and skills to serve as executor before taking on the responsibility. An executor, also called a personal representative, is the person in charge of distributing property to heirs and settling a decedent's estate. A female appointed to handle an estate is sometimes called an executrix. Naming an executor in a will avoids the need for a court-appointed executor after death and usually saves the estate money. This is because court-appointed executors generally charge high fees in contrast to relatives or friends who are chosen to serve. When a person dies, someone must take on the responsibility of managing the decedent’s estate through the probate process. Though state probate laws vary, this personal representative, usually called the executor if the decedent left a will, must take charge of the decedent’s assets, pay his final debts and distribute the remaining assets to the beneficiaries or heirs. Before the personal representative has any authority to act, he must be appointed by the probate court. Normally an executor is named in a will, but when someone dies without a will, the court must appoint an executor to administer the estate. In Florida, an executor is called a "personal representative." Florida law dictates who has priority to become the personal representative of an estate. What Are the Qualifications for an Executor for an Estate?